It sounds like you know a lot, Dave! At least the most important stuff. Thank you for writing this blog. I look forward to getting your posts. We’ve spent 10 years fighting this battle. Our daughter has baffled more than a half dozen neurologists, epileptolgists, and dietitians. I’m convinced that there are no experts other than the parents. We know what doesn’t work, we know how to advocate for our children, we learn to not accept no, we know how to fight the health insurance nightmare, we know what questions to ask the pharmacists, we know when things aren’t working, we know all about IDEA and FAPE so that our children get the educational resources they are legally entitled to. Most of all, we know how get to the next day and fight again for our kids healthcare. Much to do with epilepsy and the brain is still unknown. The further into this epilepsy journey, the more the experts readily admit that they do not have answers for us. We’ve been told that we simply have to bide our time and wait for medical science to advance. 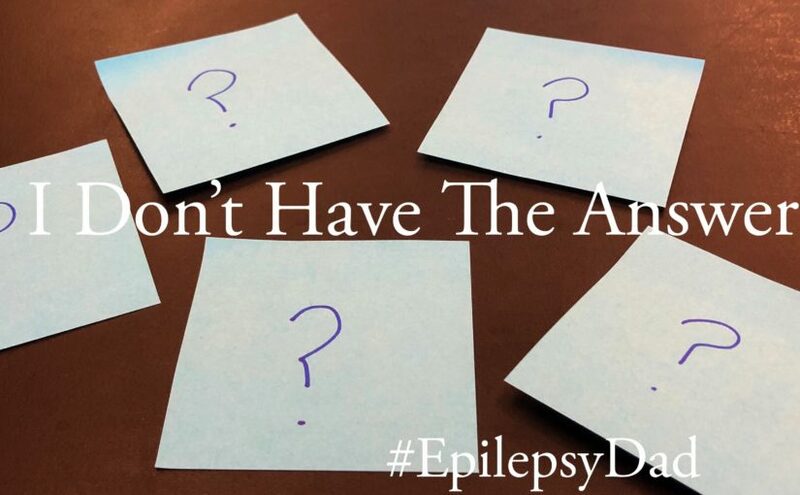 Living with epilepsy is often all about living without answers.